Happy Monday, boos! As many of you know by now, I’m obsessed with everything cozy – fashion AND home. It’s a new season so first things first, it’s time for SPRING pajamas… amiright?! I found this cuuuuuute pink sleep shirt for under $20 and knew I needed in my life 🙂 Shop it here! I’ve rounded up more of my favorites below. From classic options to fun prints, there’s a perfect jammie for everyone! 3. Bonus entry – sign up for my newsletter! If you’re on the fence about spending the moolah on your own, trust me, it’s worth every penny! This blanket is not only gorg to look at but SO cozy to snuggle up with! Share the post "Spring PJs || Blanket Givaway"
Awe thanks, Hannah! You’re so sweet! I’m also from KC & live in LA now! Love your blog!! I have been searching endlessly for a chunky throw because of first seeing yours! I came across your Instagram from the #tjmaxxfinds and I’m so glad that I clicked to look at your profile! I love your style! love, love LOVIN’ that darling PJ sleepshirt and the blanket…so cozy! It would be perfect on this COLD, WET Kansas City day! I soooo look forward to my daily STYLED by Kasey news! Love the blush blanket! Looks so cozy on your bed! Holy knit! I love them both! Your eye for style is something I admire. This blanket is gorgeous, but everything you post is! Thanks for giving us great ideas and advice. Truly a fan. Yay love this! What a sweet giveaway! Love your home decor! Dying to get my hands on one of these blankets! Yay !! I hope I win it !! Can’t wait !! I’m newly wed and the knit blanket would be terrric in our bedroom !! I honestly don’t know where my apartment would be if it wasn’t for what you post on Instagram and your style and that video you made about your husband not putting the almond milk away helped me with my boyfriend in getting him to put his clothes away finally! Thank you so much! So cute! My email is kendallgeist@outlook.com. Thank you! What an AMAZING giveaway!! I absolutely love you! Your personality and honestly are such a breathe of fresh air. You give me so much inspiration! I love your blog posts!! I am getting ready to move into a new apartment and have got so much inspiration from your posts!! Thank YOU, Rachael! So glad I can help give you inspo!! Email me any time with questions. Thanks for entering – xoxo! I’ve always want one of these blankets! So cozy looking! I’ve been following you for the past year and always enjoy your IG stories and you fab finds! Your new home is to die for and I can’t wait to see the final look!! Would love to bundle up in that right now! Ahhhh Love Love Love this blanket!! Love following you and all your home and fashion inspiration! Love these blankets! This blanket is to die for!!!! It’s THE best girl! Thanks for entering, Emma! You make my day every morning when I see your insta stories! I’m literally obsessed with all the deals you post I get almost all of them…lol ! Everything you post is just so cute! It’s amazing how Everytime I have a question about something you send me a link right away! Thank you so much! This blanket is just to die for! Super cute ! In LOVE with the chunky knit blanket. 😍 Attempted to DIY my own but it didn’t work out! You make nd laugh! After I started following you I’m like in a mad dash to find the things you decorate with! I wish I knew where you got the cami jacket with the pick! I’d live to win the yummy blanket! Are you talking about my army green jacket with the pink fur? Yes girl! Thanks for entering! Love this blanket…!!! Love following you…!! Good luck everyone…!! Omgggg this is a dream come true! I’ve been eyeing this blanket ever since I started following you!! Love this blanket love your style I’m just glad I found you! Looks like the perfect snuggly combination! I absolutely love your style. The colors are so soft and soothing. I only wish I could decorate my home in a similar way except my husband is all for the darker colors. I can dream in the meantime. Thanks for sharing your style and tips. Love 💗Love this Blanket! Even went on Etsy to see if I could make it. Thanks for sharing great products w/us. Favorite part of day is watchig your insta stories! You are such a babe!! Thanks for doing this giveaway…..so excited! OMG omg omg. I absolutely NEED this blanket in my life. So, I’ve literally been lusting over these blankets. I actually just got a new couch and have not styled it at all yet lol. Thanks so much for your awesome content. Love this and LOVE the woven blanket! Obsessed with this knit! And love your blog babe! Such an inspiration and so excited to see what’s in store for us all with the new house! I’m in love with this blanket 😍!! And you’re just the best ever! I love your personality, fashion and am so excited about your new home! We’re building our first home here in Austin, TX and it’s a modern farmhouse layout as well! PICK ME ! PICK ME ! 🙋🏼‍♀️ Love the blog and signed up too. I hope that I win! Love that blanket! I literally just sent you a DM on instagram about this blanket! I would be so excited to win!!! 😻…. I love your finds thanks for always sharing! Love this blanket!! Really need a cute pair of pjs and that cozy throw in my life! I’m obsessedddd with your instagram page!! I particularly love Friday Finds and that gorgeous blanket!! You nailed it. Wanting this blanket but it falls down the priority list! Pick me, pick me!!! Lol. Win win win I want to win and guess what I’m not picky I’ll take any color bc they are all so beautiful. Obsessed with your home decor, that blanket gives me major cozy feels! I need it. Love how cozy it looks! I am in love with this blanket. I would love to have one of my own! I’m redoing my room and i need a starter item to inspire my new decor, this would be perfect! Hi Kasey! Had the pleasure of finding you when I came across your awesome gold cart! Had to see who owned this cart! I instantly became a follower! I absolutely love your personality and style especially your alter ego Janet! She is such a hoot! Your style and home decor is spot on! Oh yes your car dance moves are awesome! I just can’t get enough of you! Love your last 2 youtube videos especially the last one of the hair tuturials! I would so love to own my blanket! Thanks for being you!! I have been wanting one of these blankets so badly! I’m all about that cozy life! Oh me too girl! Thanks for entering! Hi Kasey! Had the pleasure of finding you when I came across your awesome gold cart! Had to see who owned this marvelous cart! I instantly became a follower! I absolutely love your personality and style especially your alter ego Janet! She is such a hoot! Your style and home decor is spot on! Oh yes your car dance moves are awesome! I just can’t get enough of you! Love your last 2 youtube videos especially the last one of the hair tuturials! I would so love to own my blanket! Thanks for being you!! Girl, I’ve been coveting this blanket from the first day I saw it in your gorgeous place! I love the banana leaf pjs, so cute!! I started following you a couple months ago. I love your style it is beautiful!! That blanket would be great for my daughter and I to cuddle up on the coach and watch Moana for the umpteenth time lol!! I’ve been eyeing these blankets for a long time and wasn’t sure if it was worth the money. You definitely make it tempting to get one! Love your home decor posts. Can’t wait to see what you do with your Idaho home!! In love with this blanket! Also, love the new vanity you recently posted. Omg I love you sooo much!! Kasey, you are such an inspiration. So glad I found your IG account! I have been DYING to have one of these. I’ve been watching YouTube videos for quite some time now on how to make my own but I haven’t got myself yet to actually making it for my new apartment. Just finished nursing school (broke new grad still) And they are soooo pricey but if you say it’s worth the price, maybe I’ll finally make it myself orrrr hopefully win, crossing my fingers and hoping and putting out all my positive energy into the universe that I do win! Ashleym1292@gmail.com … that’s me 🙂 slide into the emails and pick meeee! Haha! Oh my Cozy heart!! I need this in my life! New follower, but I LOVE your posts!! Obsessed with this blanket!! I love your style. Thanks for sharing your findings. I always check your pages for inspiration. Btw…the modern farm house is looking 💯! Love this blanket and the peek at the house!! I always have to check out your page! You always hv the best stuff and make me shop it all !! Absolutely love this blanket! It would be perfect to cozy up in with a good book. Even though it’s about to be spring and summer, I’m always cold! So this blanket would be so lovely in my home 🏡! Awesome giveaway. Love your style. I’m in the process of “redoing ” my living room space and looking for a style like yours…ps. I want to see more Janet videos! Best of luck with your new home. Cheers! That blush blanket is everything. Although, my pugs will probably take it over!! Nothing beats comfy Pjs and a cozy blanket while waiting for summer to arrive!!!!! Love these blankets so much! I love how you use them to make you home cozy and inviting! Thx! Blanket goals, love your style! Can’t wait to see your finished farm house. Oh my gosh I have been wanting one of these since I first saw it on your couch! Love it! I tried to make my own and completely failed! I have been saving for one and your cute tips always help me look chic without braking the bank!! Love it! Love Janet! Love you! I’ve been eyeing the blanket for so long! Thanks for being such an inspiration, as a stylist and a blogger! You’ve seriously done such a great job and I can’t tell you how much I’ve enjoyed following you. Can’t wait to see all the amazing stuff you do in the future! Love love the pajamas and cozy blanket!! Thanks for always sharing a link to shop your goodies. I absolutely love your style! Love your site and following you on Instagram!! Also like to know gets me the stuff I love in your posts!! Love the blanket!! Girl, it’s the best! Good luck! yasssssss L O VE THIS! Love everything about your home! The blanket is a staple piece I see in all your photos 😍 My email is ariadnaodo@gmail.com for entry. Thank you! This looks so cozy! Oh my gosh I LOVE these blankets!!!!!! They are THE best! Good luck! Can i just say the work it took to scroll down the amount of comments on this page 😅. So here it goes!!! I just moved into my very first apartment and I’ve been following you ever since because I’m in love with your sense of style. I’m new at home decor and the first thing i saw looking at your page was WHERE DO I GET THIS BLANKET! But if anyone knows how expensive it is to move i was not willing to pay much for a throw blanket. So… I’m shooting my shot! What an awesome giveaway! Fingers crossed! Omg i love these chunky blankets! I’ve gotten so many great ideas from you and enjoy your posts so much!! Can’t wait to continue following you! Love the blanket!! Looks so cozy! Oooooh thank you so much for this giveaway ! So excited about this goveaway!!! Been wanting one of these blankets for years! Obsessed with this blanket!! Love following you girl. You always give me a good laugh and love your style. Your Idaho home is my dream! Can’t wait to see the finished product!! Thanks for entering and following along, babe! Excited to share more of my House! Love you style! So glad to see someone else has a love for skull art!! Oh girl, I’m all about skulls!! Love Halloween! Thanks for entering – good luck! I love stalking your Instagram and Blog. Love your style and trying little by little recreate it at home. YAS, Myra! Stalk away 🙂 Thanks for entering the giveaway! Ahh this would make me the happiest person alive! You are too sweet to offer this. Thank you! Can only hope one day I have a home as beautiful and cozy as yours! Awe thanks, Lexie!! You’re SO sweet! Omg I love this!! I have debated getting one for months! I have been dying for this blanket for sooooo long to complete my styled bykasey bedroom!!! It would be a dream come true to complete the look. YAS girl! It’s legit, THE perfect final touch! It would be PERFECT for a lil’ nursery!! Thank you for entering, Sarah! Good luck! I WOULD ABSOLUTELY DIE FOR THIS BLANKET! I e been searching EVERYWHERE for one like this! Ahh I die! OMG – yas! happy early bday!! I’m ALL about that blush, girl! Thanks for entering! Great content! I love all of your colors! Reminds me of the paintings I create! Thank for sharing all of your work. Keep it up! I have a blanket obsession and this seems like the perfect addition to my blanket ladder! I love love this! Amazing blanket! I’m currently trying to convince my husband we NEED one of these blankets… he says they’re too girly; I say “happy wife, happy life!” 💁🏻😂 I lovvvvve your style. this blanket is absolutely gorgeous! it looks so comfy too!! I love the chunky knits!! LOOOOOVE. so happy i stumbled across your instagram! i love your style and pictures. especially the pinks and whites.. Its my favorite combo. Im about to redo my bedroom with those colors so i will be using your page for inspiration im sure 🙂 Also thanks for hosting an awesome giveaway!!! So glad you found me, Kristen!! Happy decorating – it’s so fun! Thank you for the opportunity to win the pjs and blanket! I love this knit throw! So adorable and cozy!! I have always want s one of those blankets. They looks so soft!! I’m in love with those pjs! They are so cute! Me too girl and such a great price!! This blanket is absolutely amazing! Thanks for the chance :). I NEED this blanket in my life. Your style is totally my inspiration for my new house! Adding the blanket would be perfect! Girllll love this and that blanket is GOALS! This blanket looks like it feels like you’re being wrapped in a cloud!! I need this level of coziness in my life!! Me me me!!! Since I follow you I have a new sense of fashion and my house looks way better! You are true I inspiration! Love these blankets … you have such awesome style!! Following you brings so much joy and laughter to my life. Not to mention, my wardrobe and office are so on point now so thank you for all that you do! I love everything you do and show!!!! You are amazing and so talented! I absolutely love your style! You defiantly inspire me every single day and love your funny husband comments cause they’re SO relateable. I just got husband last week and moved into our first home together! Have always loved these blankets. 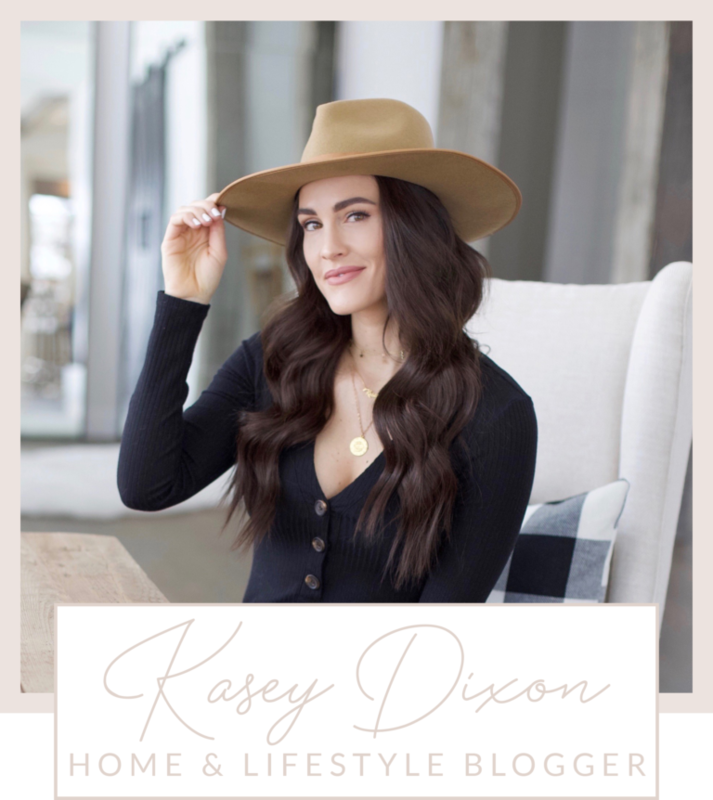 Love your blog and insta posts!! You have given me so much inspo for my vanity!! <33 love your instas! I just recently started following you and you are hilarious and I love your content! Hope I’m in time! Love love love that blanket! !